Head injuries have drastically reduced over the last fifty years. Unfortunately, there are cases of injuries and statistics shows that in every two thousand games, there is a case of fatal head injury. These stats do not factor in injuries from practice and although there has been a reduction of these cases; there are some reasons to worry. The question remains, why do these head injuries happen, how to prevent them, are their ways to educate the young baseball player on the importance of safety. Which potion is in the highest injury risk? Head injuries contribute to about more than 10% of the overall injuries in baseball. These statistics are worrying if the young players’ well-being is a concern. Surprisingly, all the playing positions are at risks of having head injuries. However, batting position tops the list of the most prone position (with 38% chances) to head injuries if there is no helmet. The pitching position comes second with a 37% chances. These numbers show that any player can get a head injury and change playing positions is not a solution. With the introduction of helmet and improvement of baseball and bats, make hypothetical makes head injuries a non-issue in an ideal situation. Unfortunately, there are still cases of head injuries especially in the junior leagues in both softball and the baseball. The following are some of the major contributors to this menace. 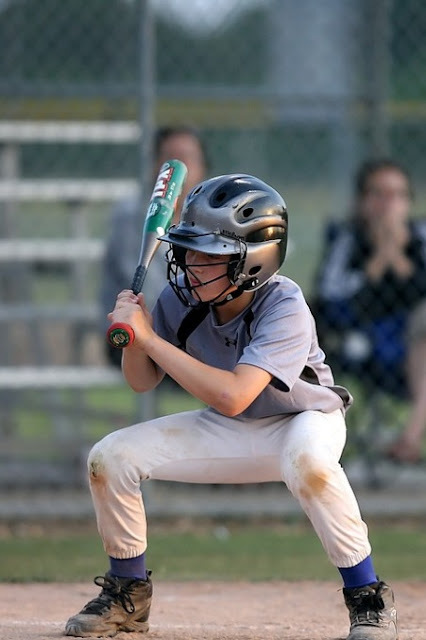 Wearing a helmet is a basic rule in both softballs (fastpitch and slow-pitch) as well as in baseball. It is actually the first rule that is taught at the introduction of baseball. This rule is, however, one of the most undermined rules probably because cases of head injuries are not so common in baseball. The helmet is an ideal situation is supposed to save the player from unexpected bat hit or unexpected baseball hit. If the player is not with a helmet, the head is at risk of an unexpected hit on the head, which has a high chance of injuring the player’s head. Baseball/softball has guidelines, which minimizes the physical contact of player of different teams. It is actually a fact that the two games have the lowest potential injuries because of unnecessary contact. The lack of honoring these rules can lead to players getting too much closer and as a result, create a scenario whereby an accident can happen and therefore leading to injuries especially head injury. Fights, although are very rare, can contribute to a higher number of head injuries. Fights have resulted to poor conflict management of the authorities or unfair decision during the game. The main aim of a helmet is to cover the head. Covering the head is important based on the fact that during the game, there can be unexpected stray baseballs or unexpected bat throw. Making helmets a compulsory therefore makes the young player protected from the above-named harms. The issue of making helmets a compulsory can be introduced in the early baseball life of young players. Basic principles of the game that dictates the level of a contract between players can be installed in the early stages of training. By doing this noble task, there can be a huge reduction of these instances of unexpected contacts between different players. It is without a doubt that in young leagues, conflicts are unavoidable. Some young players in most cases can result in managing the situation by themselves and therefore use bats as weapons. This is not just a human rights issue but also a societal problem. Each team therefore must; invest in programs that promote better resolutions of conflicts. Alternatively, head injuries can be a result of proper training, especially when using machines such as pitching machines. In this case, if the coach is not properly trained, they can expose the young player to potential danger and therefore lead to injuries. What are some of the symptoms that the head injury needs medical attention? 1. If a player develops a very sensitive sense to minimal noise after a hit or a collision, the situation demands a more advanced medical attention. 2. After the accident, if the player starts having a blurred vision, it is an indication of a head injury that needs more than just a first aid attention. 3. If the player starts having a severer headache, they should seek a quick medical attention for further examination. 4. Some players after an experience or an accident can feel a change of the game mood. This can be a sign of a head injury. The following piece is more of a guideline of head injuries that are prone to happen in a baseball setting. It is important for the parent to ensure always that the team or the clubs where their children play have an advanced technology to handle instances such as the ones discussed above. If there is not sports doctor, there should be a way of handling situations such as the ones discussed above. The head injuries when handled in the right way are manageable but if they are not contained in the early stages, the player’s life can be at risk.